With its numerous museums, parks, and spring training baseball fields, the Greater Phoenix area is a great place to visit with families. One of the highlights of the area is its beautiful, family-friendly resorts, which offer kids’ camps, pools, and other premium amenities. If you are planning to visit the Phoenix area with your family, here are five great family hotels in different areas of town. 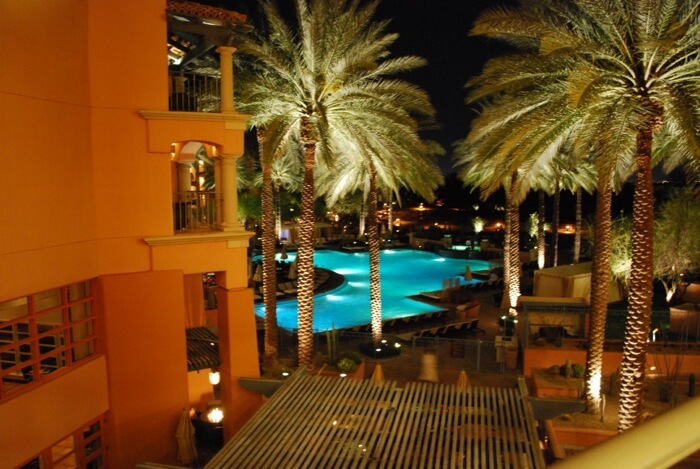 This five-star resort in the upscale Phoenix suburb of Scottsdale offers five pools (including an adults-only pool at the spa), along with a wonderful kids’ club, several restaurants, tennis, and many other activities. My kids loved being greeted at the special kids’ check-in desk, and we could easily have spent our entire vacation on property. The spa is also fabulous, so be sure to check it out when your children are in the kids’ club – you can purchase a day spa to access the facilities, or book a treatment. Book online at the hotel website, Travelocity or Hotels.com. The Phoenix Marriott Tempe at the Buttes is located in the suburb of Tempe, adjacent to the Tempe Diablo Stadium (the Anaheim Angels’ spring training field). It offers two pools, hiking trails, tennis courts, and two sand volleyball courts, but also has some of the most unique landscaping in the area. Areas of the hotel are actually built into the Butte, and several cascading waterfalls can be found throughout the resort. Book online through Marriott International, Travelocity or Hotels.com. The Pointe Hilton Tapatio Cliffs, one of two Pointe Hilton resorts in the Phoenix area, is located in a quieter area of Phoenix. It offers a 138-foot waterslide, several pools, and kids’ activities. In addition, it’s an all-suite hotel, making it very convenient for families. Most of the suites offer a living area and bedroom, although other configurations are available. Check rates online at Priceline or Travelocity. 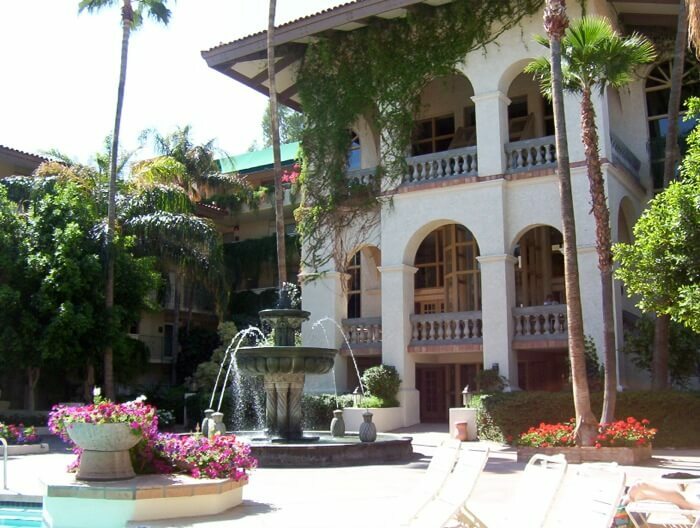 The Arizona Grand Hotel is an all-suite, four-diamond hotel located right in Phoenix. It’s great for families who need a little more room, and some of the suites even include a full kitchen. The resort also offers a 7-acre water park right on property. Reserved only for resort guests, it was named one of the top 10 water parks in the country by the Travel Channel. Book online at the Preferred Hotel Group website. Disclosure: My stays at the Fairmont Scottsdale Princess and the Westin Kierland Resort were complimentary for purposes of review. Article and photos by Jodi Grundig of FamilyTravelMagazine.com.